so you can add some flavor to your day and your healthy lifestyle. 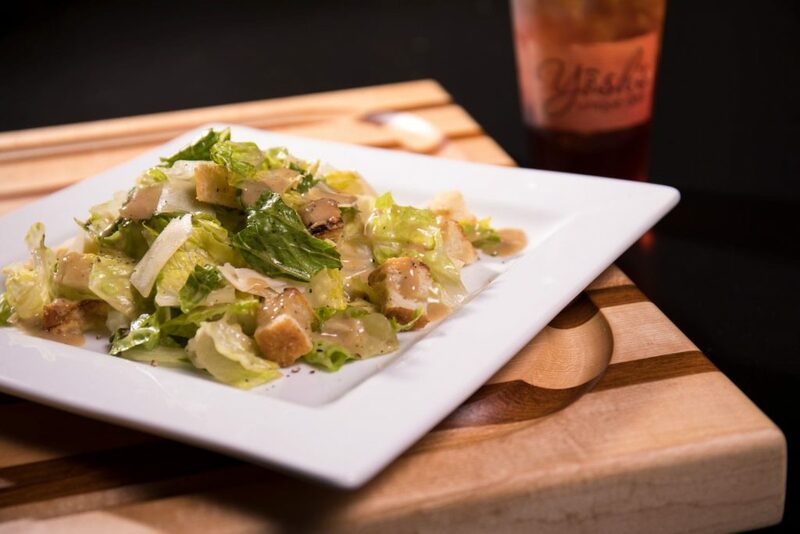 Hearts of romaine, herbed croutons, shaved Parmesan cheese, and homeade Caesar dressing (Contains anchovies). 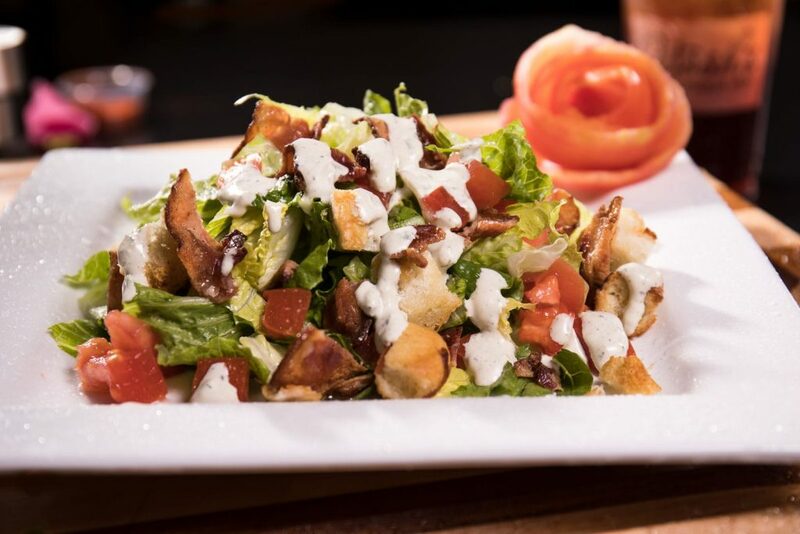 Boston butter leaf lettuce, bacon, tomatoes, herbed croutons, and basil green goddess dressing. 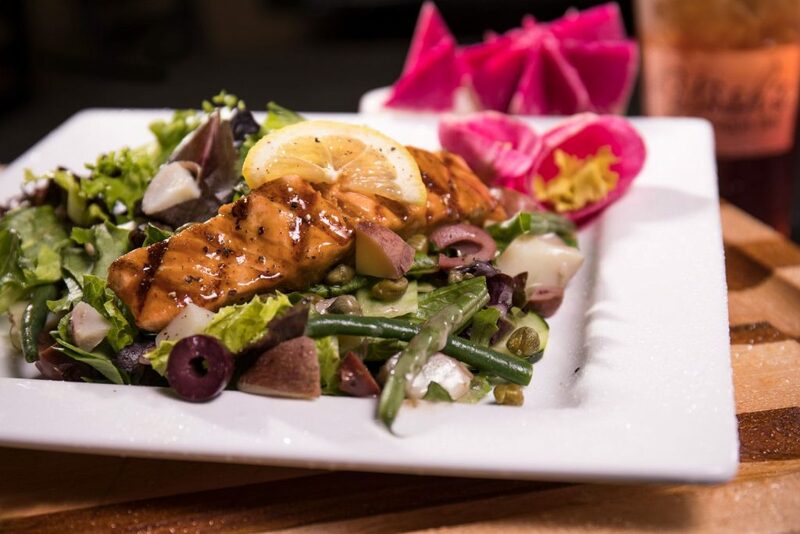 Grilled salmon, mixed greens, red potatoes, Kalamata olives, capers, cucumbers, green beans, red onion, and lemon vinaigrette. 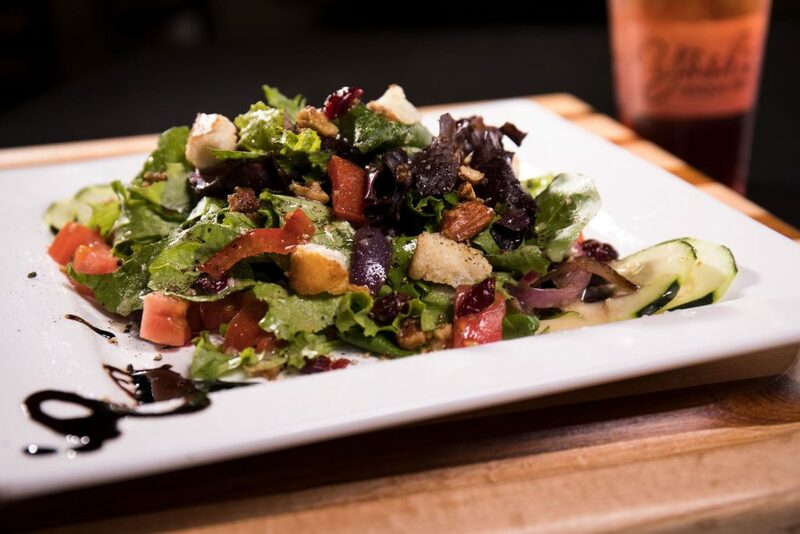 Mixed greens, tomatoes, cucumbers, grilled onions, herbed croutons, cranberries, candied nuts, and house shallot vinaigrette dressing. 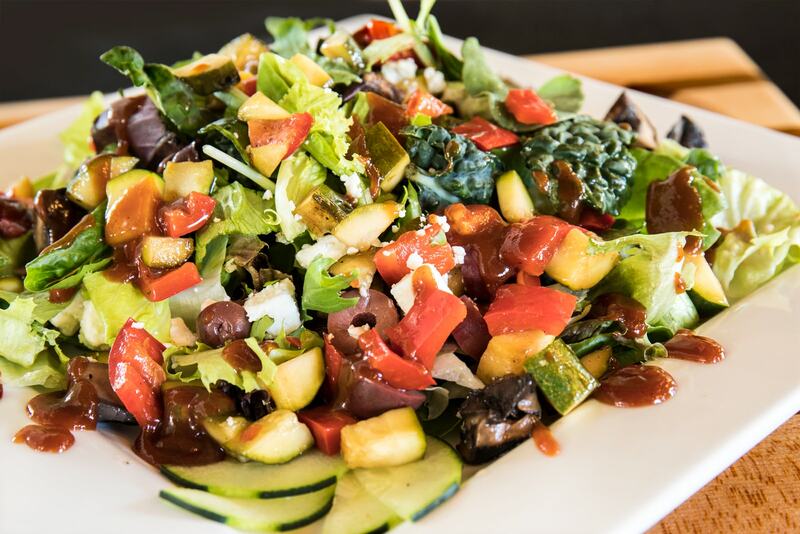 Grilled portabella mushrooms and seasonal veggies, mixed greens, Feta cheese, Kalamata olives, cucumbers, and balsamic vinaigrette dressing. 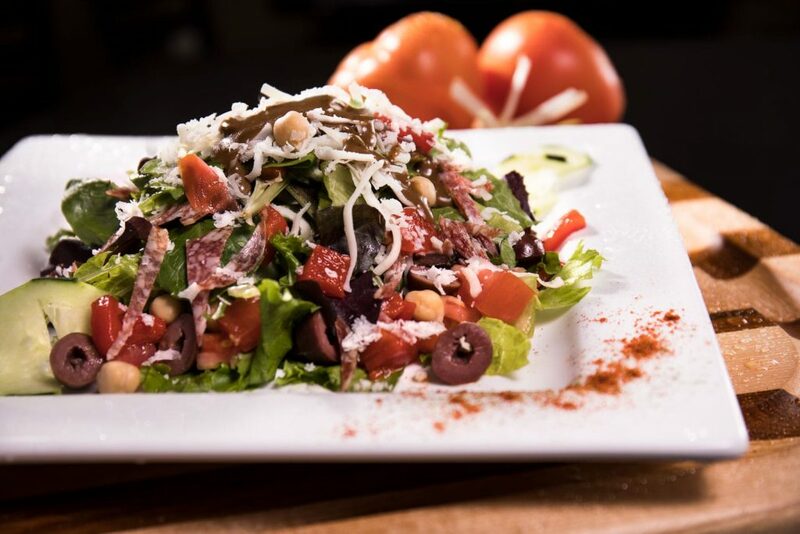 Mixed greens, roasted red peppers, salami, tomatoes, cucumbers, Kalamata olives, provolone, chickpeas, and balsamic vinaigrette.